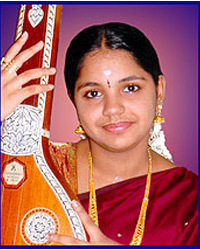 cultural competitions in light music, classical & devotional singing. Abroad shows/countries visited Srilanka, UK- London, Australia, Swiss, France- Paris, Grmany,Singapore. Other activities Was a gymnast during school days, cooking. Director K.Balachander, Maniratnam, Shankar, Goutham Menon and many more. Lyricist Kannadasan, Vairamuthu, Vaali and many more. Friend Vandhana, Vaijayanthi, Aruna, Pooja, Raji, Sridevi, Gayathri, Prashanthi,Bhavishya, Krithika.